We’d love your help. 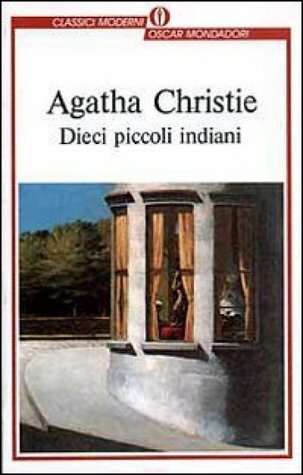 Let us know what’s wrong with this preview of Dieci piccoli indiani by Agatha Christie. To ask other readers questions about Dieci piccoli indiani, please sign up. I like There is scarcely any comfort to be found in this book, only an ancient, arcane horror. The story is a vast underwater cavern, where nothing flows and nothing ebbs and all is as dark and still as the grave. Even my most harrowing nightmares would have never conjured such a soul-fearing tale. And Then There Were None was uncomfortable as it lodged itself in the darkest corner of my mind. The questions it asks and the implications it conceals are still twining up my legs like a barbed vine. I liked this book—but it honestly isn’t an experience I’m keen on revisiting. 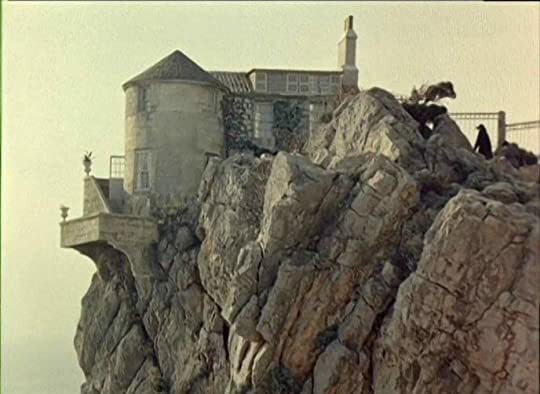 In And Then There Were None’s nightmarish tableau, ten people are summoned as house guests to a remote island by a Mr and Mrs U.N. Owen. The guests assembled trade stiff dialogue over dinner and cocktails while musing about the celebrity of the island and puzzling about their hosts’ tardiness. The whimsy of the moment, however, ebbs away when a disembodied message blaring from a gramophone tallies, in vivid and mordant detail, their unpunished crimes. 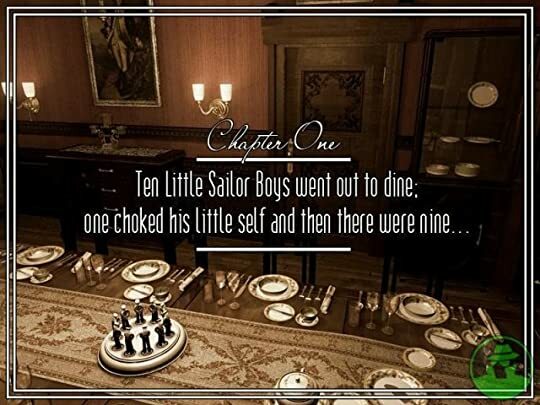 The house occupants’ astonishment quickly turns to horror—their faces wheeling from the shallows to the depths of terror when shortly after, they all embark on the ghastly business of being murdered, one by one per the instructions of a horrid nursery rhyme. Memories of their misdeeds, which used to be a distant and blurry thing, suddenly come into a sharp, lurid focus. Death runs rampant with his bloody scythe on Soldier Island. Each creak and groan is a hunter stalking them, each flutter of wind its breath, close against their necks. This is their sentence coming to retrieve them. 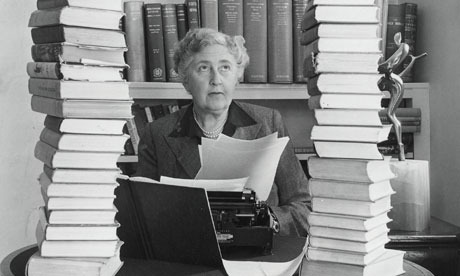 Agatha Christie, an extraordinarily good writer, digs with bright, horrible relish into an exhilarating, unsettling and ingeniously constructed story that relentlessly yanks the brain as it pitilessly disorients the heart. She plays the reader with the delicacy and finesse of an expert angler, and doesn’t allow you a moment to dig in your heels and stop where you were, just for a while, just long enough to get a better idea of what’s ahead. The experience of reading this book is akin to walking through a nightmare; I could not orient myself, did not know north from south. My heart was a fistful of thunder, my mind a whirl pool of possibilities—each more terrible than the last. The not knowing was like a splinter in my mind. And as I was tracing the implications of every new revelation, my small, sickly faith was eroding. 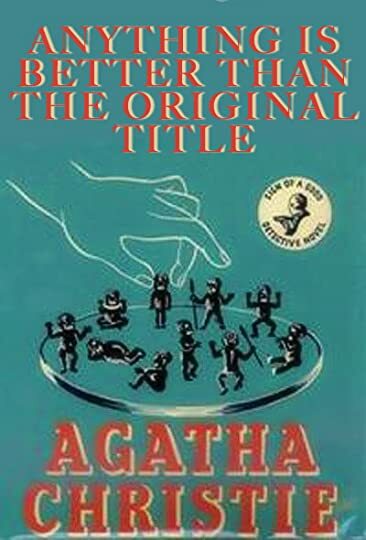 And Then There Were None is not a light read—it is, in fact, unrelentingly harrowing. The hermetic, creepy atmosphere of Soldier Island makes a thriving black petri dish of foreboding and distortion. And as each of the characters' haunting pasts come to light and as their secrets swell to bursting, the book becomes more and more page-turning. But what appears to be a thriller is something far more perilous. Christie imbues the story with a well-observed psychological depth that holds its own fascination. The surface, of course, is arresting, but the harder you think the further you go, and it keeps on getting more productive. The mind is an imperfect engine that does what it will with the information it receives. But what happens when fear, true fear, takes hold of it and scours out all else? When it becomes fractured and wild, crowded with the images of your most torturous evils? What happens when your flimsy attempts at exonerating yourself and asserting some kind of spurious decency no longer stand up under the glaring attacks of guilt? Each of the ten guests is a mirror, from which there’s no escape, reflecting their monstrosity back at each other. And this book is, in many senses, an invitation to take a long, hard look at one’s own self in the mirror. It is also a forensic examination of remorse—the kind that is sharp enough to slice a man off his shadows. The truth of it eventually draws blood, and when it does, it isn’t a clean cut. The truth of it hurts jagged. This is, furthermore, a portrait of a psychopath whose beguiling trappings conceal a being watchful, capricious, and heartless. They are the author of this horrendous drama—a madman of the most blatant kind who suffers an unconquerable confederation of self-righteousness and depravity. But what is most frightening is not the depth of their evil, but how cold it runs. Are humans really capable of being this infatuated with the blood and groaning of the theatrics of murder? None of these characters are, of course, the kind of people you want to roll the red carpet for, but does anyone really deserve this? The questions this book asks are grim and land too hard to catch but it doesn't make this book’s dizzying journey less than worthwhile. If there's a flaw running through And Then There Were None, it's that Christie maintains a respectful distance from her characters, and at times, that distance runs toward dryness. I think a bit more poison in the pen would have helped in drawing out the characters, some of whom don’t entirely step into the page before, y'know, they start dropping like flies. 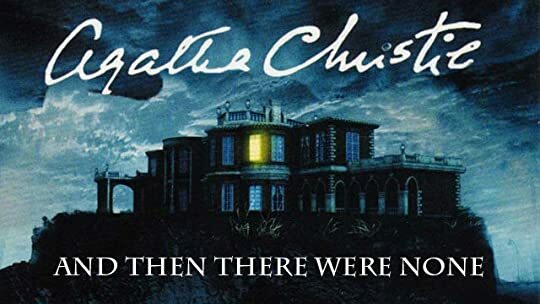 Overall, however, And Then There Were None is a highly readable murder mystery and a provocative, pitch-black psychological thriller that will be hard to forget! Adrian Great review, a real favourite of mine. PirateSteve Adrian wrote: "Great review, a real favourite of mine." ...the person who was really pleased with it was myself, for I knew better than any critic how difficult it had been." & Christie was so right to be pleased with this book! It is her mistresspiece and my favourite mystery of all time! That won't take away from my enjoyment. But the casual racism in some of the text pretty shocking. 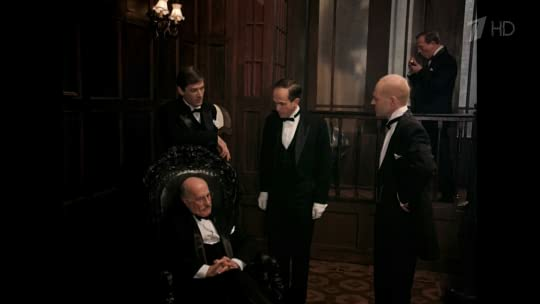 He had fancied though that the little Jew had not been deceived - that was the damnable part about Jews, you couldn't deceive them about money - they knew! Edit: Realised I never updated this. Problem was solved with original title (was Librarian error)& I try to check every week to make sure it hasn't been changed/deleted again. Edit 21/04/19 Oh boy, I hope this is mistake! I haven't checked for a month or so, then noticed the original title had gone. 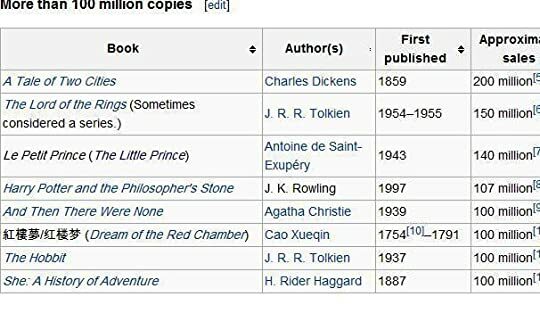 This makes zero sense, since editions of this book featuring the original (very offensive) name are still catalogued. & a simple search will show other books with this word in their title still listed here. Edit: 24/04/19 Have heard from Goodreads & this was a staff error. Original (offensive) title has been put back in the system by another librarian. Good news, but I wonder if GR has ever given any thought to hiring experienced volunteer Librarians rather than the raw recruits they use now. 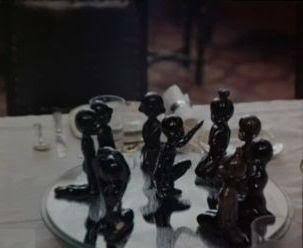 Carol She's So Novel꧁꧂ Barbara wrote: "I'm old enough to remember older relatives talking in ways about race that would shock us today. It was a normal thing then, and even Barbara wrote: "I'm old enough to remember older relatives talking in ways about race that would shock us today. It was a normal thing then, and even the "nicest" people were guilty of it. We live in such a differ..."